All documentation and your membership fee must be received by the ANPA office to complete your renewal. Now, memberships can be renewed online HERE! CPE points (20 points) are easily accrued with the 12 categories you can use. Often, members accrue more than 20 points. Remember that a maximum of 10 points can be carried forward to the next year. If you need any assistance with your renewal, please contact the office. All the information about CPE can be found here. CPE forms can be downloaded and printed, or downloaded and filled in online. The ANPA PR team had a very successful series of Vitality Days at Endeavour College across the country, meeting many students. Thanks to the team and we extend a special welcome to all of you! (Left to Right top) Debbie Lam - Sydney; Patricia Oakley - Adelaide. (Left to Right bottom) Marianne Fernance - Brisbane; Nadine Bedewi & Dobrusia Szramowiak - Melbourne. Almost every health service provider will have to handle a complaint at some point. Knowing how to handle complaints effectively is an important part of operating a safe practice. Practitioners who have clear processes for complaint-handling are usually able to resolve complaints quickly and easily, and avoid the need for third-party involvement. All health service providers in Australia need to be aware of their state’s Health Act and any relevant codes of conduct. 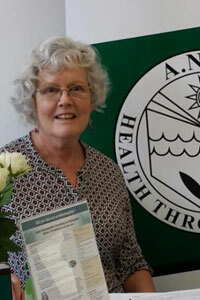 Naturopaths are not a registered profession in this country, and are not regulated by the Australian Health Practitioner Regulation Agency (AHPRA). We are, however, required to adhere to our state’s Code of Conduct for General Health Services. Keep a record of all complaints, including any action taken in managing them. You’ve probably noticed that our profession has competition. Anyone practicing as a naturopath today has seen an explosion of ‘alternative health care’. From functional medicine, holistic GPs, health coaches, holistic nutritionists and mommy bloggers, everyone is suddenly an expert in ‘natural health’. How we define ourselves as a profession is now more urgent and important than ever. This is where the Australian Naturopathic Summit (ANS) comes in. Founded in 2015, the ANS launched its inaugural event in 2016 to a sold out crowd. ANS 2018 promises to be bigger and better. With over 25 speakers (almost all Australian naturopaths), a festival atmosphere with food trucks and chai tent, we want to encourage networking and a relaxed atmosphere where like-minded people come together and learn, share, collaborate, and enjoy. As clinicians, we constantly seek to improve our patient outcomes by staying up to date with the latest research and emerging interventions. Day two’s theme of “Updating our clinical skills” is vital to stay on the cutting edge and to stay relevant in the current natural therapies climate. Whether it’s learning herbal manufacturing from the best, accelerating patient improvement via behaviour change mastery, or learning some new physical exam skills that you always were a bit fuzzy on, there’s something for everyone in this jam-packed day. The theme of day three explores the diversity of naturopathic businesses and highlights alternative and pioneering career options for naturopaths. We share business success stories and strategies beyond the 1:1 clinic model, and look at some options for sustainable business. You will leave the conference bursting with new ideas on how to improve, grow and streamline your passion and your business. Come and join us for this three-day festival of Naturopathy. Dates: August 24-26, Lennox Head NSW. The ANPA has been a proud sponsor of the ANS since its inception in 2016. Last month, I was extremely fortunate to be invited to attend the Australasian Conference of Nutritional and Environmental Medicine (ACNEM) conference in Melbourne. 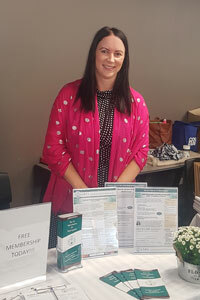 This conference was aimed primarily towards GPs, specialists and other mainstream medical professionals, although there was a surprising number of naturopaths, physiotherapists and other allied health professionals. I was genuinely surprised at the large number of medical professionals who were incredibly open towards complementary therapies and keen to pursue an integrative model of practice. There was a significant proportion of GPs who were not from Melbourne, but rather had travelled from as far afield as Cairns, Perth and even New Zealand. I was incredibly pleased to talk to not only GPs, but also obstetricians, psychologists, paediatricians and other specialists who were all there to soak up the latest information. The conference focus was on chronic disease, preventive health through nutrition, and the importance of the microbiome balance. The line-up of speakers was phenomenal, with both domestic and international presenters delivering cutting-edge knowledge in their own special ways. I found the presentations to be entertaining, informative, and in some cases (I’m not ashamed to admit! ), a little above my education level! The exhibitor stand was the usual blend of pharmaceutical companies and online suppliers, but also a surprising number of new enterprises as such as vitamin injectables aimed at physicians (and hopefully naturopaths soon!) and custom compounding for bespoke prescribing. Overall, I came away from the conference filled with a renewed hope for the future of integrative practice, knowing that there is a veritable army of GPs who are keen on practising alongside naturopaths in a truly complementary way. Alternative and Integrative Oncology: The reference guide to evidence-based cancer therapies. - Greg Fredericks B.A., M.A., N.D., NMD. Integrative Oncology is certainly an area of interest for many naturopaths. 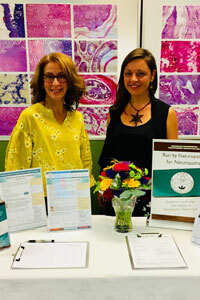 US naturopathic physicians are able to offer naturopathic oncology, as treating cancer is in their scope of practice. Naturopaths in Australia are not able to ‘treat’ cancer, it is not in our scope of practice. However, we do treat the whole person who may have a cancer diagnosis. 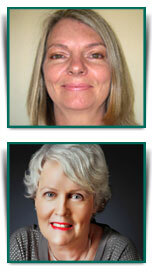 Patients today often seek an integrated approach, and some seek a purely naturopathic approach. I studied at the Australian Institute of Holistic Medicine, now known as the Australian Institute of Higher and Further Education. I qualified in November 2017. What led you to join ANPA? 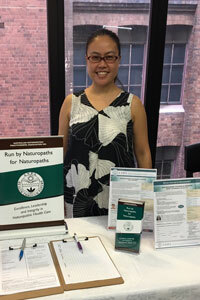 I was a student member, and ANPA being a naturopath-focussed organisation appealed to me. The support and communication of ANPA has also been exceptional. All new graduate ANPA members are invited to a monthly support teleconference call. Last Wednesday of the month: 25th of July; 29th of August; 26th of September. Time: 12 noon (Melbourne time) for one hour. Learn efficient and effective administration practices to avoid frustration and mistakes, set up good habits and streamline your workday. Where are you studying, and what are you other qualifications? I am currently studying at Endeavour College of Natural Health, Brisbane, in the Bachelor of Health Science- Naturopathy, third year. In addition, I am a medical doctor trained in Peru (MBBS), and was trained as a phlebotomist through QML Pathology. I have chosen to study Naturopathy to understand how natural medicine can improve our health in different ways, and practice this knowledge. Being able to integrate both concepts (mainstream and natural medicine) is fascinating for me, and I hope to keep learning and growing with the help of my teachers and mentors.